Our customers often have questions about Phone Ninja, as well as the services we offer and the devices we repair. Below, you’ll find the answers to some of our most commonly asked questions. A: We are located at Unit 2 / Number 8 Yampi Way in Willetton. To find the shop, find the corner of Yampi and Kembla. Once on the corner, you will find a group of shops including DGCS Computers and Louie’s Security. We are located between them with the storefront facing Yampi Way. We have the Phone Ninja logo on the window. Q: Why Choose Phone Ninja? A: To summarise, we would say that it is that we offer a total solution for all your repair needs, but for more reasons please check out our Why Phone Ninja page. Q: Whats the go with Aftermarket and an High Quality screens? To offer a competitive price mall type phone repairers fit an aftermarket screen to your phone. This provides a lower price for the repair; however, the part is a copy and not built to the same level of quality as the high quality parts we use. For a full list of differences, please check out our High Quality vs. Aftermarket page. Q: Whats the difference between Glass Only and Screen replacements? A: A touch screen is made up from several different parts. Most consist of an LCD, touch digitiser, and front glass. Sometimes when the screen is broken, the LCD is still intact and displays the image correctly underneath the broken touch screen. In these cases, we are able to change the glass and reuse the LCD, saving you money. The phone must have a full picture (without distortion or lines) and the touch capability must also be functioning for this to apply. For more info vsit our Glass Refusing and Full Screen Replacments page. Q: For Glass Only Repairs, do you remove the broken glass in store? A: No, we use an exchange system, as doing that does not give perfect results. This is because there is a chance of LCD breakage and dust or spots on the LCD. For this to be done properly, we send the good LCD to a factory, as a dust free environment is needed along with some professional equipment to perform a technique known as re-fusing. This results in a factory finish indistinguishable from a brand new screen. Some repairers may offer to change the glass only on your screen in store but we highly advise you not to do this, as they can suffer from many defects such as glue seeping from beneath the screen and other poor results. Q: Can I get a repair done under the manufacturer’s warranty? A: Unfortunately, we do not offer any manufacturer warranty repairs. For these repairs, you would need to send your device away interstate to the manufacturer, in most cases being without the device for several weeks. We specialise in non-warranty work such as damaged devices and for people that cannot be without their device for long periods. Q: How long does a repair normally take? A: Most common repairs can be done the same day, possibly even within an hour. For more complicated or rare devices, we aim to have the device fixed within a couple of working days. Q: Do you offer a warranty and, if so, how long is it for? A: We offer a full three-month parts and labour warranty with all our repairs except for software work, water damaged phones, and carrier unlocks. A: At Phone Ninja, we understand that payment flexibility is an important factor to consider when choosing a repairer. We aim to make it as easy as possible for all of our customers. We offer cash payment, EFTPOS payments, Visa/MasterCard credit card payments (2% surcharge), direct bank deposit and even business & government accounts to approved applicants. Q: If I can’t get to the store do you have a mail in service? A: Yes, all you need to do is go to our Country Postal Service page and follow the easy steps. This service is for our Country Western Australia & Interstate customers; however for our Perth Metro customers go to our City Mail In Service page. A: Unfortunately, we do not offer this service at the moment, but are happy to have the unit couriered to and from you. For more information, including an online booking system visit our Perth Metro Postal Service page and follow the steps. A: For trading hours, please refer to our Contact Us page, or Home page. Q: Why should I choose Phone Ninja over home / backyard / garage repairers? A: While these repairers can sometimes offer competitive pricing, the quality of their work can range from “sort of ok” to “Oh darn, what did you do to my phone!” Due to these repairers not being a business, they generally do not offer warranty or tax invoices either. The last thing you want is for something to go wrong with your phone, and not have a warranty or receipt and try to get a resolution from someone working out a rented home with a temporary mobile number. Q: Will I lose any data from my device during the repair? A: In 99% of cases you will keep your data; however, some repairs such as software fixes require the phone to be wiped. We always recommend that if at all possible you back up your device before bringing it to us. We will endeavour to keep your data if possible; however, we will not be held responsible in the unlikely event that there is a repair issue, or theft. Q: Do you sell spare parts? Q: Can you install this part I bought off the internet or ebay? A: No we have a policy to not install customer-supplied parts because of the tendancy for them to be low quality. Many parts take hours to install and cannot be removed without damage.They can even damage your device once installed. In many cases the price difference is neglible because of our wholesale buying power. Q: Do you do Insurance Quotes? A: Yes we do as long as the damage is genuine. Please refer to our Insurance Quote page for more info. Q: What are the terms for your Perth price beat guarantee? A: At Phone Ninja, we understand that price is a major factor in choosing your phone repairer. We endeavour to bring you great prices so the choice is easy, but every now and then, a cheap price slips past us. For these rare occasions, we offer to beat the competitor’s price. For Terms & Conditions of our Price-Beat Guarantee follow the link. 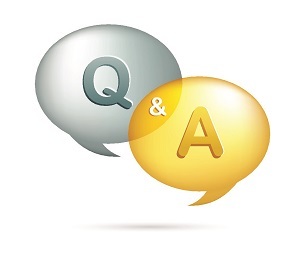 Q: Do you offer water damage repair? A: Yes, we do on select models. However, due to the nature of the repair, there will be a $40 inspection fee for all jobs booked. For more information, please call our stores.